We’re looking for a bit of a unicorn. 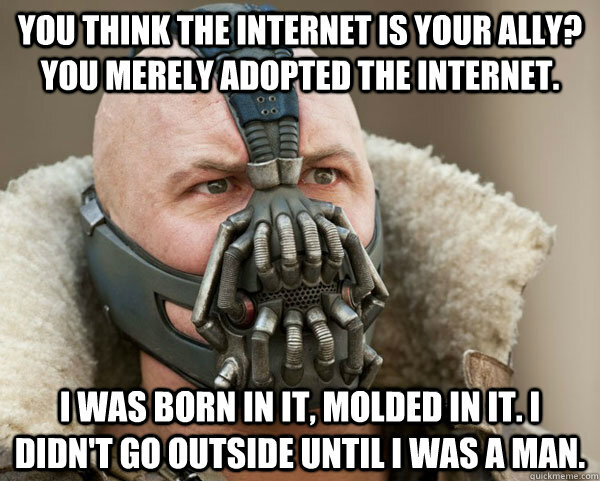 You were born and bred, Bane-style, in the pits of social media. You’ve lived and breathed social media through its awkward infancy, even more awkward puberty, and continue to inhabit that world now. You are two parts creative director and one part social media strategist. You wade neck-deep in digital & pop culture, following trends and memes on Tumblr, Reddit, Vine and Twitter, and drawing inspiration from them. You have an intuitive sense of the kind of content that will thrive or fail on social. You back this up with knowledge of the platforms, social trends and successful social campaigns. You think big picture and dream about how to evolve content on social platforms, directing all phases of creative work from concept through production in the distinct and unique style and voice of the brand. You’ve run successful social campaigns, or (even better) have managed the social presence of brands with unique voices and strong always-on content. On top of that, you’re a strong leader and collaborator with colleagues and clients. Show experience would be an added plus. If you’re passionate about identifying new social trends, initiatives, and creative directions, this is the right job for you. Sounds great? Shoot a resume/portfolio to hunter@thehuntinglodgenyc.com. Not for you? Share with your network and get someone working!